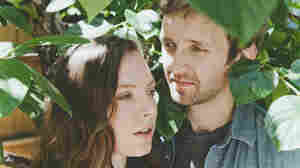 August 4, 2015  Sylvan Esso's Amelia Meath and Nick Sanborn break down the components of their electro-folk sound and share songs by some of the other artists who've inspired them. July 29, 2012  The North Carolina band has a knack for blending classic-rock traditionalism with a real ear for experimentation. The songs on last year's self-titled album can whisper or rage, meander or kick. March 1, 2012  Megafaun's "Get Right" is a sprawling eight-minute psychedelic drone, punctuated with dazzling electric-guitar fuzz. November 9, 2011  On its self-titled album, the group strikes a balance of musically adventurous improvisation and traditional styles of modern folk music. September 27, 2011  This week on All Songs Considered: the hip-hop alter ego of actor-comedian Donald Glover, plus new finds from Zola Jesus, Megafaun, Youth Lagoon and more. 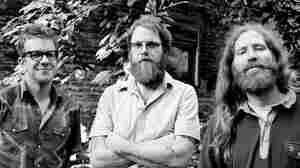 March 6, 2008  Megafaun mixes minimalist folk with modernist rock experimentations. 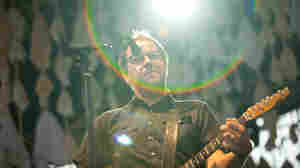 The result is an unusual and surprising mix of songs for the trio from Durham, NC. At times they sound like a drunken group singing bar songs. Other times they lean more toward beautiful, lo-fi folk. 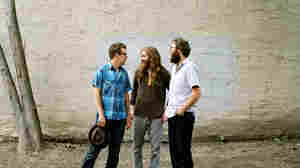 Megafaun's debut CD is Bury the Square.